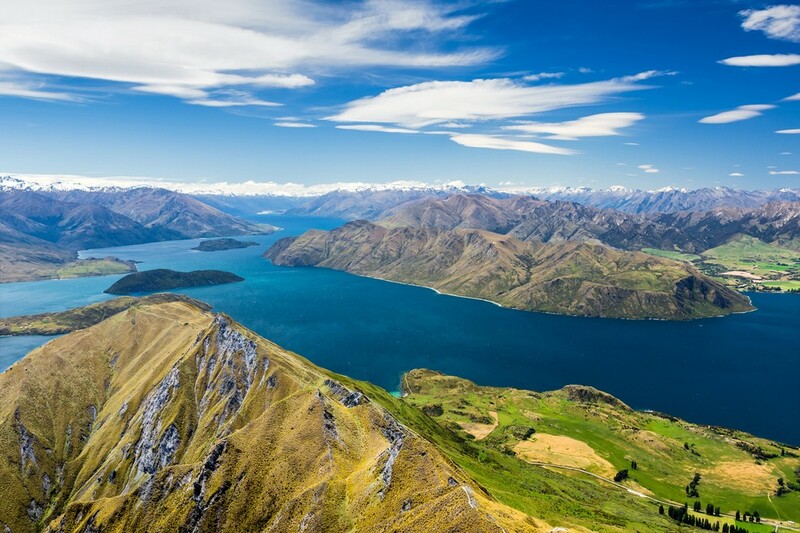 New Zealand’s South Island is a place known for its stunning scenery and incredible nature. If you visit the country make sure to explore South Island in detail – this is a perfect area for excitement and adventure. There are many stunning places to visit and many things to do in New Zealand South Island so you can enjoy every moment you spend there. South Island (Te Waipounamu) is the larger of the two main islands in New Zealand. On the other hand, it is less populous of the two, with fewer big cities and more remote areas to explore. Since less than one third of New Zealand’s population lives in South Island, it is clear that the North Island is the one with big cities and more people, while South Island is more about nature and stunning scenery. Of course, this is an oversimplification: both of the main islands offer a wide range of attractions, from cities to untouched nature. 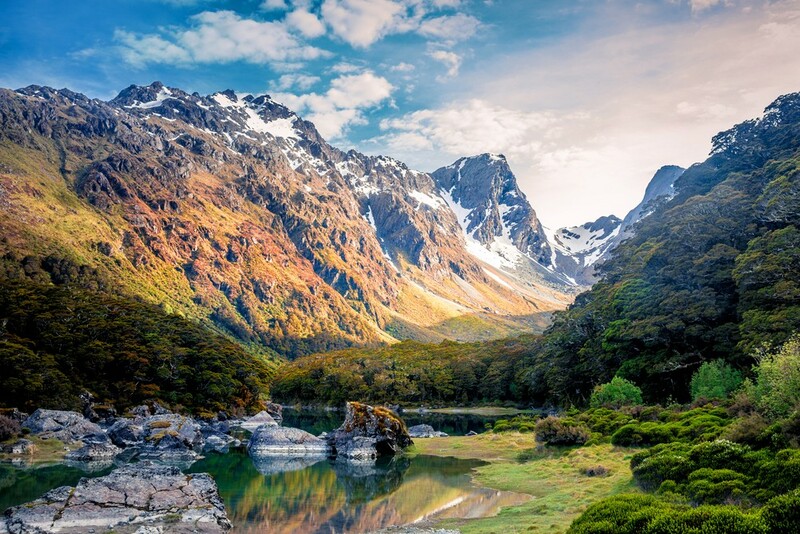 However, those who wish to explore the wonders of nature often choose South Island because this is where so many of New Zealand’s most beautiful places are located. South Island is home to the impressive Southern Alps, a great mountain range that goes through the middle of the island almost north to south. The mountains have numerous high peaks, beautiful valleys, fiords, glaciers and other impressive landscapes to explore. South Island also offers numerous beautiful beaches, lakes and other wonders of nature. It is also home to New Zealand’s largest national park. There are many exciting places to visit, especially if you like hiking and other outdoor activities. With so many different things to do in New Zealand’s South Island you will not be bored. Even those who prefer a relaxing, quiet holiday will find many attractive opportunities. The island offers something for everybody so it is a must-see place for all those who wish to visit New Zealand. There are so many things you can do and places to visit in South Island. If North Island is known for its big cities, South Island is famous for its nature. This is where many of the scenes from the Lord of the Rings movies were filmed and this is where some of the most stunning landscapes in New Zealand are located. A great thing about South Island is that it’s a great place for those looking for adventure as well as those who wish to have a more relaxing holiday. Milford Sound is the most famous location in New Zealand’s South Island and one of the most popular tourist attractions in the whole country. It offers incredible scenery of sharp cliffs rising over calm waters underneath, which is something you will want to see in person. Milford Sound is located in Fiordland National Park, along with many other natural wonders: fiords, mountains, lakes and forests. 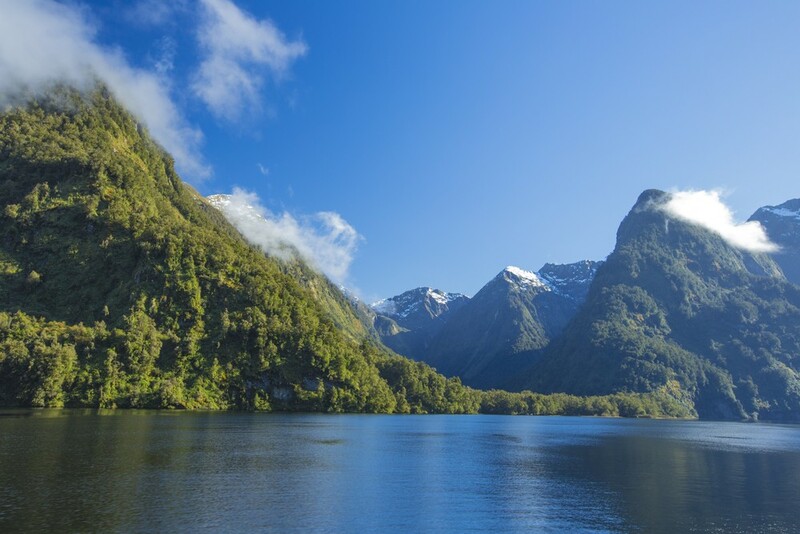 If you wish to visit Milford Sound make sure to also explore the surrounding area. One of the most exciting ways to explore Milford Sound is to take a boat trip but there are other opportunities, such as hiking tours. 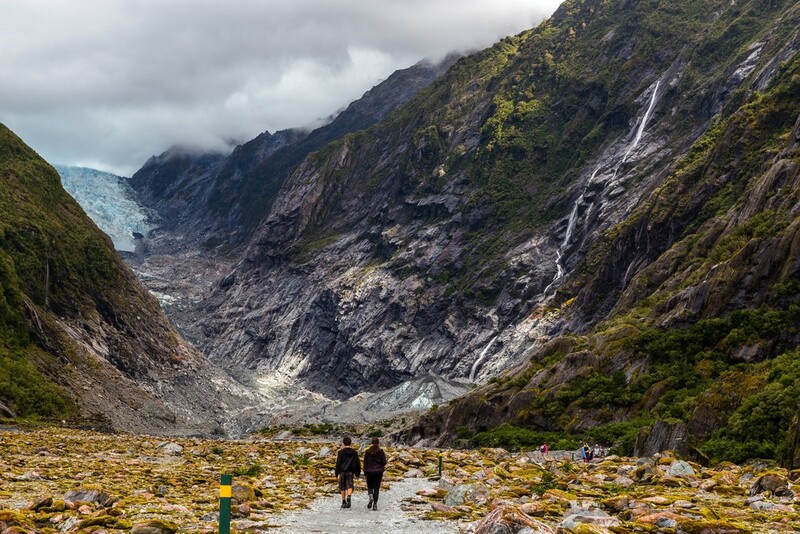 Franz Josef Glacier is one of the most popular tourist locations in New Zealand. It is also the country’s most famous glacier. In so many ways, it is special, since it is one of the fastest moving glaciers in the world. It is therefore not surprising that so many people want to visit it and enjoy the surrounding scenery. You can take helicopter tours to view the glacier from a distance or try one of the hiking trails to explore the area in detail. If you wish to stay for more than one day at the glacier it is best to seek accommodation at a small town Franz Josef located nearby. The town offers numerous places for tourists so it is possible to find accommodation throughout the year. 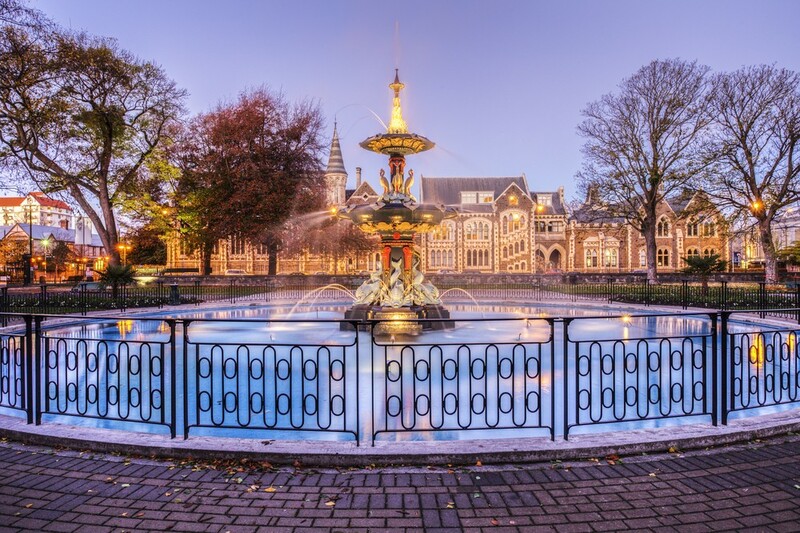 Christchurch is one of New Zealand’s most famous cities. One of the best reasons to visit the town is a gorgeous botanical garden. A great place for those who love plants and botanical gardens, Christchurch offers a place to relax and enjoy. Christchurch Botanical Gardens house thousands of indigenous plants and those originating from other parts of the world. Enjoy flowers such as roses, azaleas and magnolias and walk under lime trees. There are also numerous lush lawns and picnic spots you can enjoy. To get to the botanical gardens you should go to Christchurch’s Rolleston Avenue and go to the garden’s main entrance. It is very easy to find since this is one of the city’s most famous attractions. 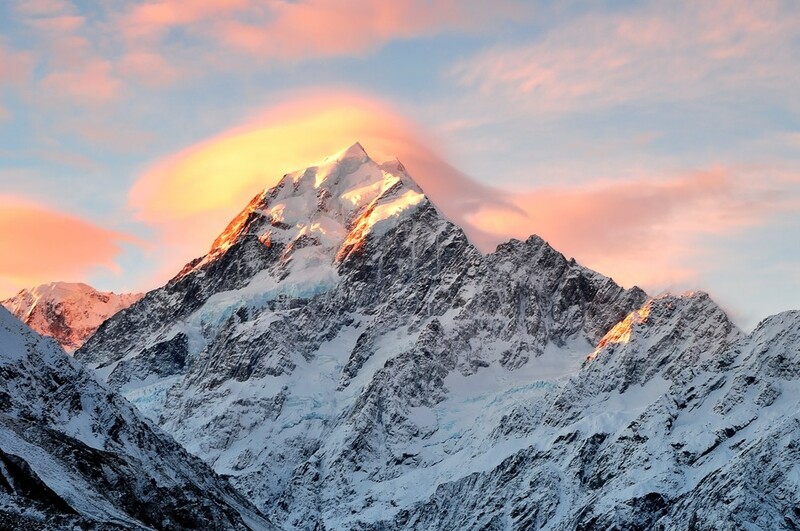 Aoraki / Mount Cook is New Zealand’s highest mountain. This is also a UNESCO World Heritage site with a National Park that covers around 700 square kilometers. 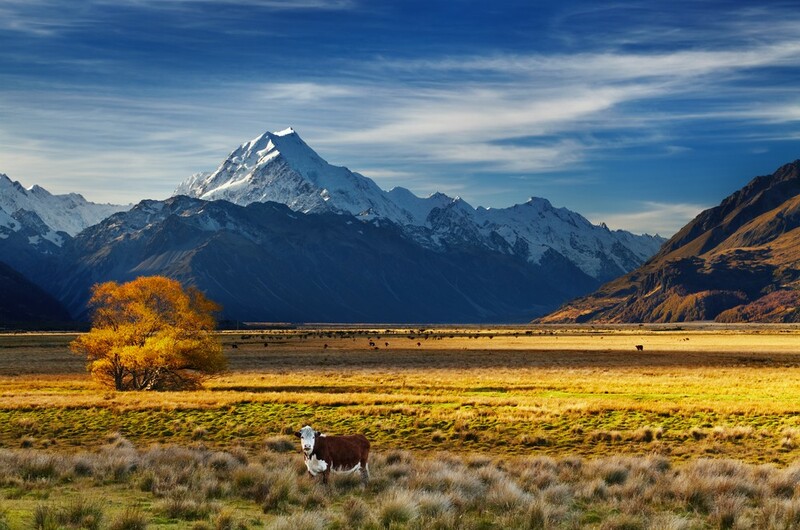 Part of the Southern Alps, Aoraki / Mount Cook is impressive and a great place for the adventurous. There are many different ways to explore the mountain and its surroundings. Perhaps the most impressive is a helicopter ride that allows you to admire the scenery. Another great way is hiking – the mountain and the park offer numerous opportunities for walks and hiking tours. You can visit the mountain itself or other attractions within the park, such as glaciers, lakes and other wonders of nature. Lake Wakatipu is located near Queenstown, on New Zealand’s South Island. This is the longest lake in the country and offers stunning scenery and exciting activities. This was here Lothlorien scenes in the Lord of the Rings movies were filmed. 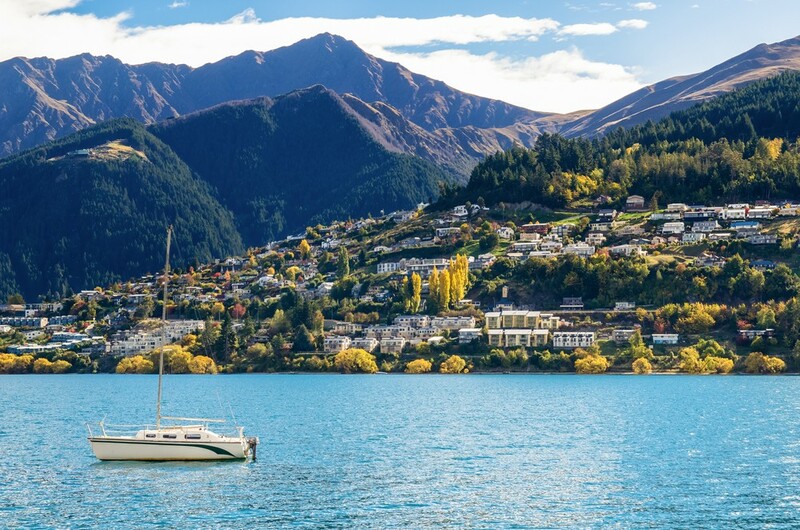 The lake is shapes as an inverted “n” and the city of Queenstown is situated near the curve of the lake. This provides a great location for the city and also an easy starting point to explore the lake. Those who like a relaxing, quiet holiday will love to sit in one of the numerous cafés and restaurants on the shore. Those seeking a more adventurous experience will love to explore the nature surrounding the lake. There are popular cruises across the lake and all the way to Walter Peak. 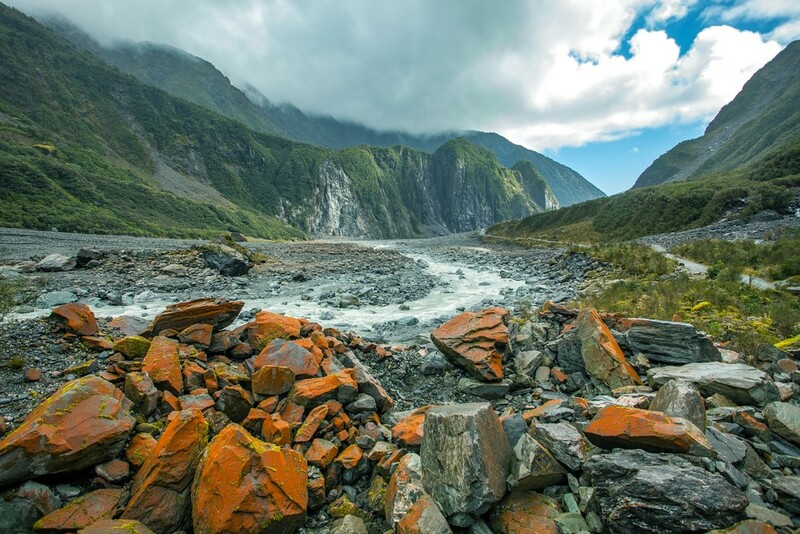 Fox Glacier is one of the most striking attractions in all New Zealand. Along with Franz Josef Glacier, it is a great place to visit for those who wish to explore glaciers and their landscape. Fox Glacier is the longest glacier in the country: it is 13 kilometers long and surrounded by tall mountains. It is easily accessible and makes for a great tourist attraction. Enjoy a walk on the glacier and explore its stunning scenery, including ice cliffs, valleys and mountain peaks. You can choose to either climb the glacier itself or to explore it in the helicopter, depending on the weather and your own preferences. Skyline Gondola is located on Bob’s Peak overlooking Queenstown on New Zealand’s South Island. The peak is known for the steepest lift in the whole Southern hemisphere, so it’s not surprising that a ride on Skyline Gondola is an incredible experience. 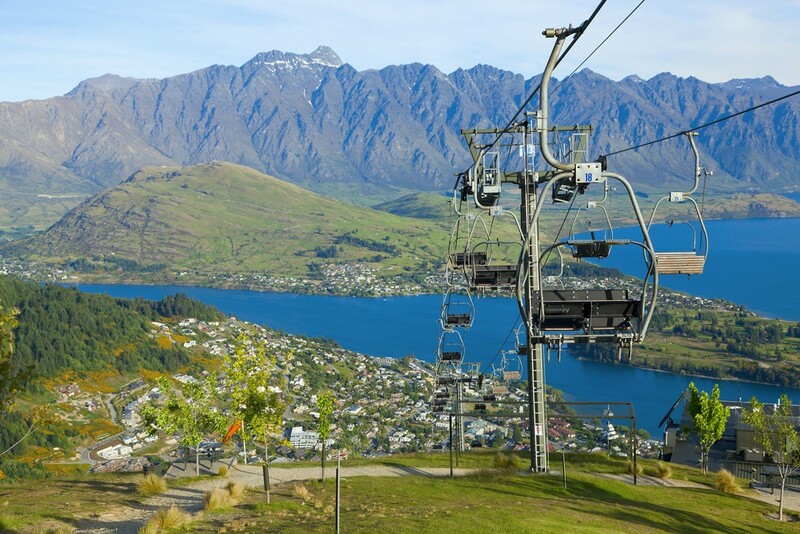 Skyline Gondola ride allows you to admire the scenery of Lake Wakatipu, the Remarkables, Coronet Park and city of Queenstown itself. The peak hosts a restaurant and café where you can sit and relax while admiring the scenery. Skyline Gondola is one of the most exciting attractions in Queenstown so make sure to take a ride if you are in the area. The Remarkables is a name given to the mountain range in Otago region of New Zealand’s South Island. This is a famous skifield so it’s a perfect place for those who like skiing and other winter sports. The Remarkables are located near the famous lake Wakatipu and provide a perfect landscape for visitors from all over the world. The Remarkables were named by Alexander Garvie in the 19th century, but it’s unclear why: some people claim it’s because of the dramatic scenery of the sharp mountain peaks while others believe it’s because this is one of the rare mountain ranges that go straight north to south. The mountain range is known for its sharp peaks and dramatic scenery. Its highest point is Double Cone and the range is known for numerous small lakes in the mountains. Fiordland National Park is located on the south-west of the South Island of New Zealand. Fiordland is known for its impressive scenery and complex landscapes. Milford Sound, one of New Zealand’s most famous attractions, is located in Fiordland. The area is practically uninhabited so it’s a perfect place for those who admire wildlife and untouched nature. If you wish to do some animal watching, Fiordland National Park allows you to spot penguins, seals, dolphins, whales, sea lions and a wide range of forest birds. To get to the Park you should either go from Manapouri or Te Anau. These places are perfectly situated for exploring the area. 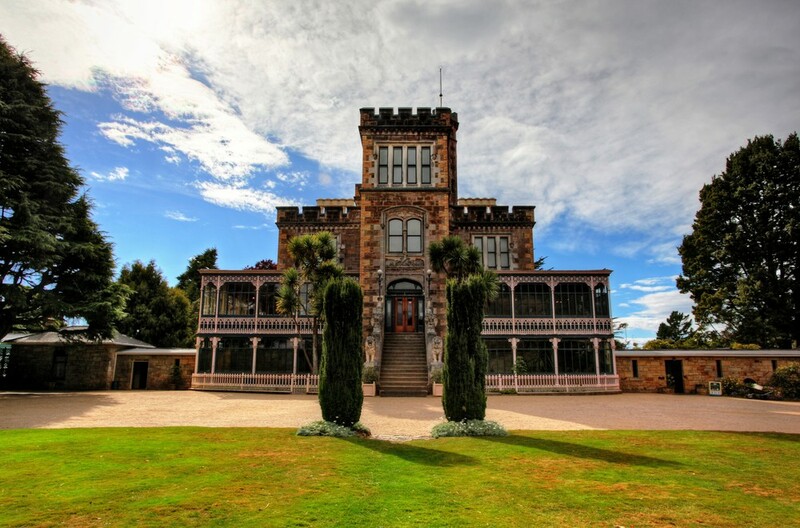 Larnach Castle is one of the most exciting landmarks in all New Zealand. Located in Dunedin, this is the only castle in the country. Larnach Castle was built in late 19th century in a unique combination of American, Gothic and Venetian architectural styles. It was built for the Larnach family. The castle is located in a 35 acre property and it’s beautiful both on the outside and inside. The castle includes a beautiful garden and visitors can explore the castle grounds before visiting the interior. One of the most beautiful rooms in the castle is the ballroom where you can order tea or a lunch. Those who wish to stay longer can book accommodation at a Larnach Lodge located nearby. Kawarau River is located in the Otago region of the South Island. The river is known for its clear water and green vegetation around its shores. This is a perfect location for those seeking adventure and extreme sports. Bungy jumping, river surfing, riverboarding, jet boarding – these are just some of the exciting activities you can do. 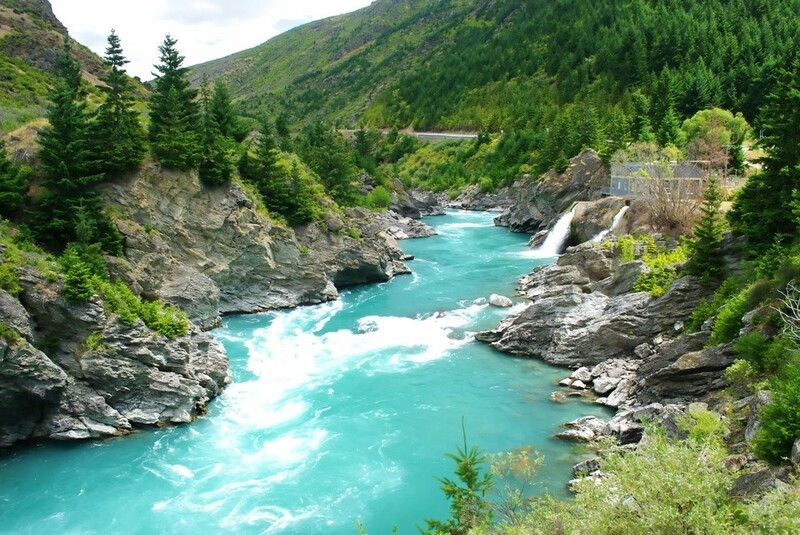 Kawarau River is also famous as the place of the first commercial bungy jump. If you love bungy jumping you can visit the bridge where the original jump took place and dive. To get to Kawarau River, simply take a short ride from Queenstown. There are also numerous organized tours you can take to explore the area. Banks Peninsula is located on the east of the South Island, near Christchurch. The Peninsula is volcanic in origin: it was a result of a strong eruption that happened in the past. The eruption was so strong that it pushed a large area into the sea, creating a peninsula. Today, the area is relaxed yet vibrant and offers numerous opportunities for those who like exploration. This is a particularly great region for hiking and walking. One of the most famous hiking tours leads to the Mount Herbert peak, which is a great way to explore Banks Peninsula and its wonders. 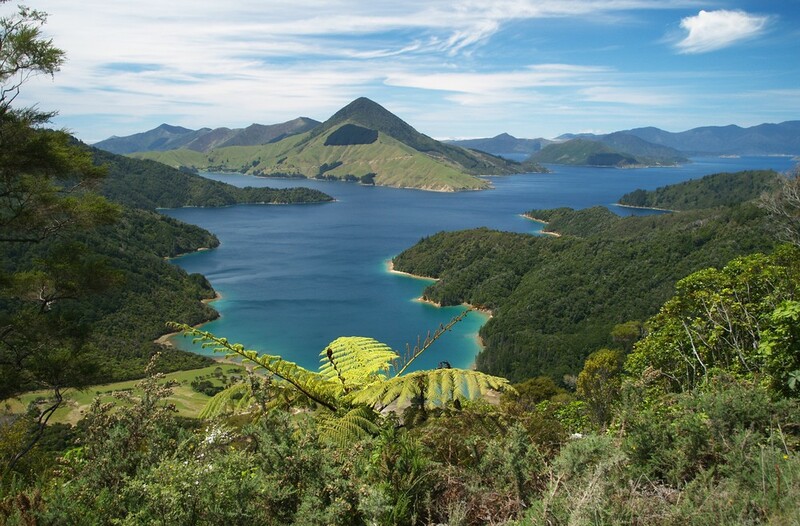 Marlborough Sounds are located on the northern end of the New Zealand’s South Island. The sounds are actually sea-drowned valleys that make a network in the area so they create a very impressive sight. The sounds consist of steep hills and small bays. The access to the sounds is somewhat difficult. The best way to reach Marlborough Sounds is to take the ferry from Wellington (North Island) to Picton (South Island). Ferry is the best way to explore the sounds and admire their beauty. Those who prefer to explore the area more closely should opt for a hike. There are many organized hiking tours to various sounds in the area. Karamea is a small town on the west coast of New Zealand’s South Island. This is an isolated place so it’s perfect for those who hate crowds and who are looking for a quiet and more relaxing holiday experience. One of the most exciting things to do in Karamea is to take the Heaphy Track, which forms a multi-day hike in the area. 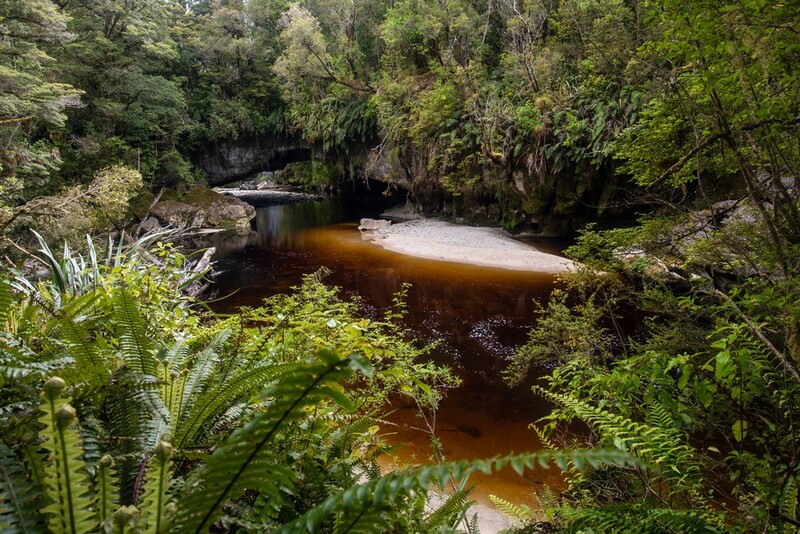 If you go to Karamea make sure to also visit the Oparara Basin, known for its amazing rock arches. These are limestone tunnels formed by the Oparara River. One of a kind, these are a must-see for all visitors to the area. Out of those, the biggest is the Oparara Arch, which is the longest limestone arch in Australasia. Another beautiful rock arch is Moria Gate Arch, whose name was inspired by the Lord of the Rings. Lake Pukaki is located in the Mackenzie Basin on the South Island of New Zealand. There are two more lakes in the area, Tekapo and Ohau, but Pukaki lake is often considered the most beautiful of them all. The water is clear and the nature surrounding the lake is incredible. You can also admire the stunning peak of Mount Cook from the lake. 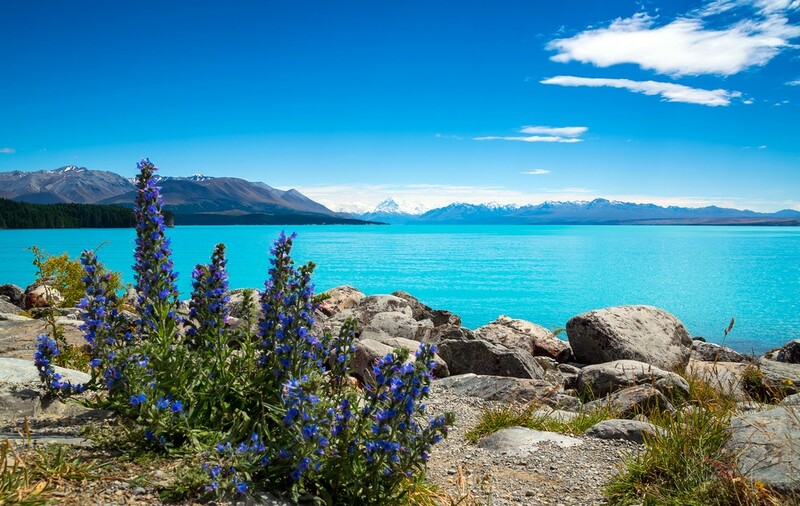 Lake Pukaki is one of the most beautiful alpine lakes in New Zealand so it’s a must-see place for all visitors. If you choose to visit the area make sure to also pay a visit to the other two lakes, Tekapo and Ohau, and admire their beauty. 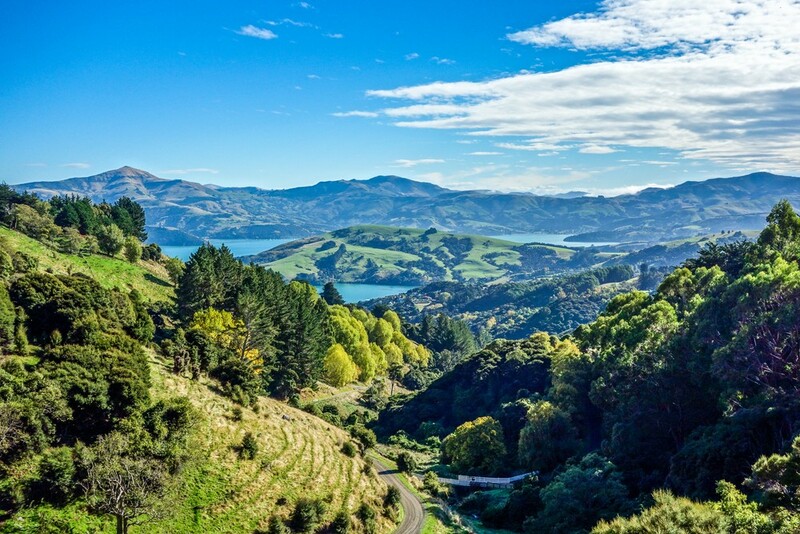 Otago Peninsula is located on the east coast of the New Zealand’s South Island. The area is famous for its marine wildlife, particularly endangered birds. You can easily spot the Yellow Eyed Penguin in the area, as well as other bird species such as the Little Blue Penguin or the Royal Albatross. The Otago Peninsula is also home to many seal species, including the New Zealand Sea Lion, which is among the rarest seal species in the whole world. 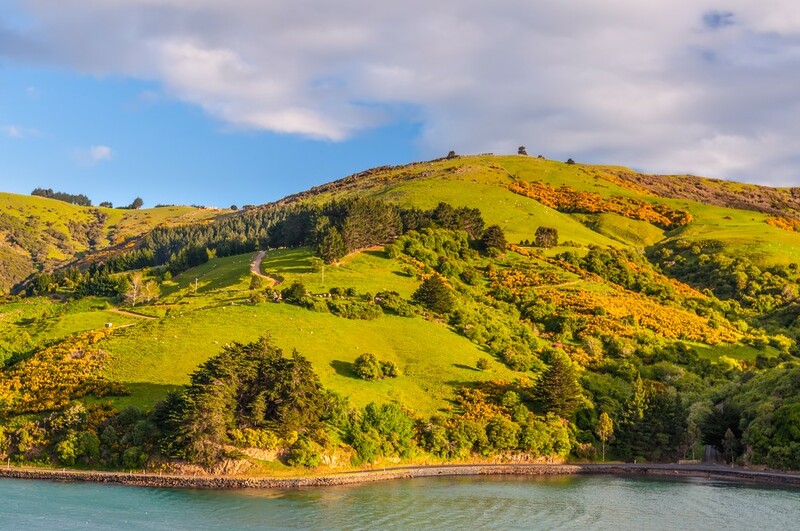 The Otago Peninsula is a great place for all animal lovers and those who wish to admire New Zealand’s wildlife. Waipara region of South Island is famous for its vineyards. In fact, South Island as a whole has a great reputation among wine lovers since there are several regions famous for their vineyards. The prime wine-growing area in New Zealand is Canterbury on the South Island. Waipara, located in the Canterbury region, is situated about an hour drive from Christchurch. There are around 80 wineries and vineyards in the area. If you are a wine lover you should take one of the exciting wine-tasting tours to the area. The tours typically include transfer from Christchurch, accommodation, visits to wineries, wine tastings, walks through the vineyards and a tour guide. 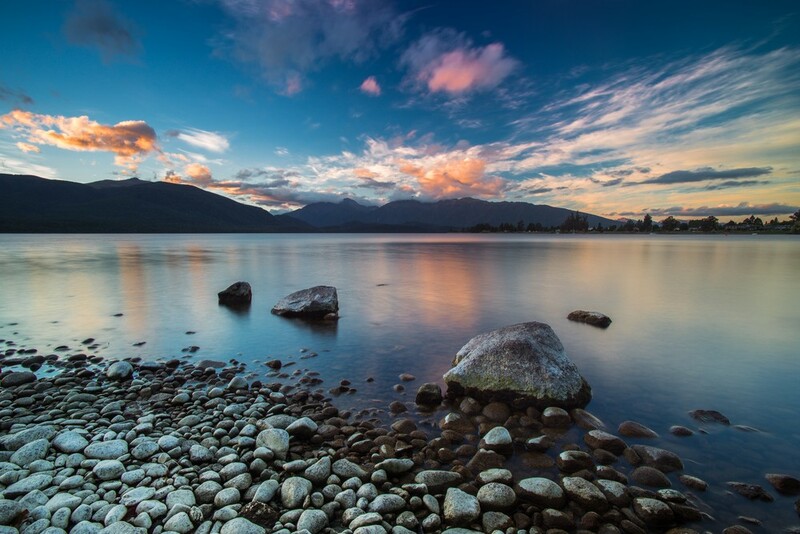 Lake Te Anau is located on the south-west of the New Zealand’s South Island. This is the largest lake on the Island and the second-largest one in the whole country. The lake is also known for its gorgeous scenery so you should visit it if you come to the South Island. 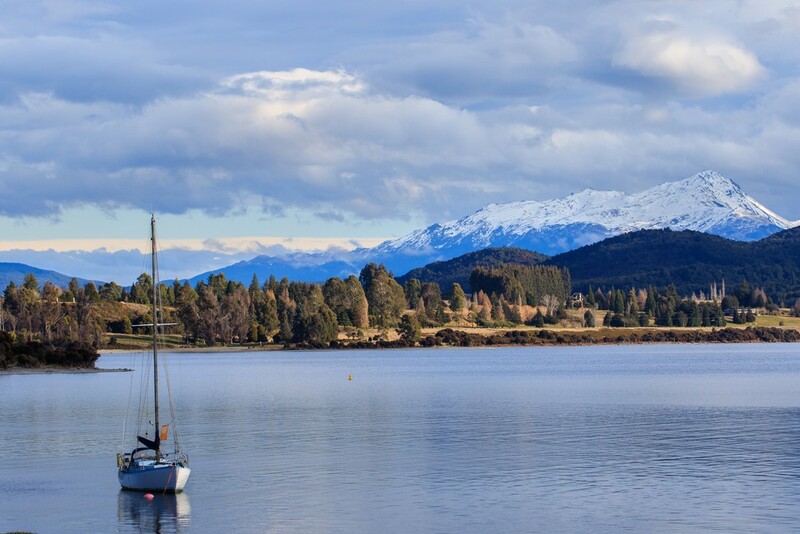 Te Anau lake is surrounded by three large fiords: North, Middle and South Fiord. The fiords are exciting places to visit for those looking for an adventure. They are also special, since these are the only fiords in the country not located on the coast. The lake receives water from several rivers, including the impressive Eglinton River. There are also numerous small islands you can visit in the area. There are two great walks starting at Te Anau lake: the Milford Track and the Kepler Track. Doubtful Sound is a great place for those who love wilderness and untouched nature. The area is often called “Sound of Silence” because of the peace and calmness in the air that surrounds the region. 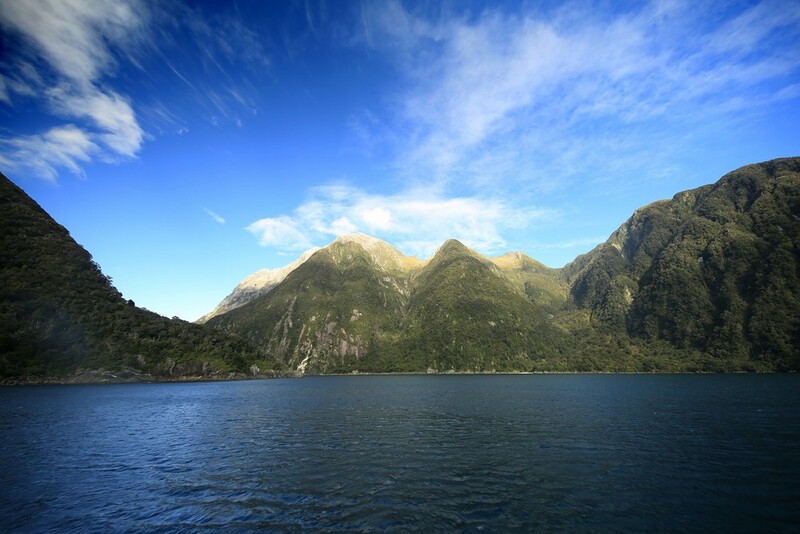 Doubtful Sound is a place to enjoy high peaks and beautiful waters, fresh air and bright skies. Geologically, Doubtful Sound is a fiord created by glaciers thousands of years ago. It is actually longer and bigger than the more popular Milford Sound, so it’s definitely worth a visit. If you wish to visit Doubtful Sound, it is best to take a boat from Manapouri. If you really like the area you can even arrange to spend the night on the Doubtful Sound. Lake Wanaka is a gorgeous lake on the South Island. Located in the Otago area, the lake is famous for its clear water and stunning scenery that surrounds it. This is a perfect place for those who wish to explore New Zealand’s nature. 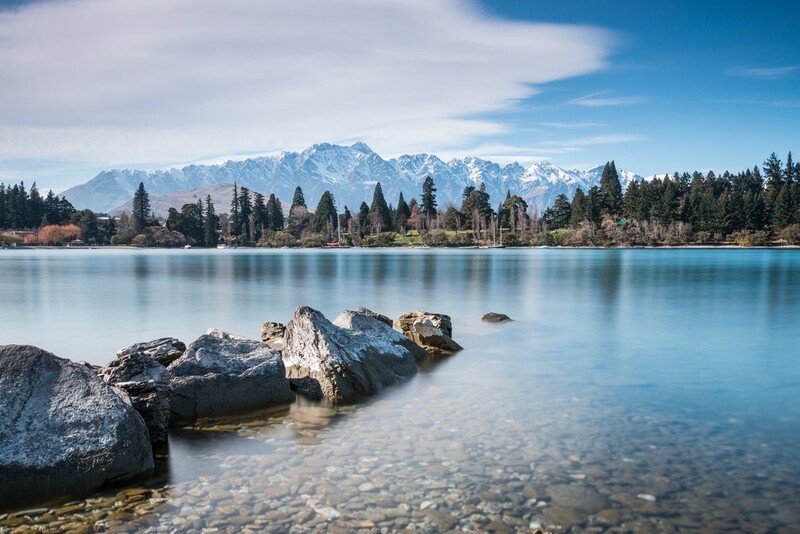 Lake Wanaka offers many opportunities for all people who like outdoor activities and sports. Wanaka is also a famous resort town situated on the lake. The town offers beautiful scenery and can serve as a great starting spot for exploring glaciers, forests or mountains in the area. Mount Aspiring National Park is located in the Southern Alps and offers numerous opportunities to explore the island and its beauty.